Last night we put the finishing touches on a new agreement with Aerum that should excite anyone holding our KEYS token. Aerum, which officially launched its mainnet today, is a decentralized blockchain platform that will enable businesses to build peer-based financial solutions for decentralized communities. Companies will be able to tokenize corporate economic flows and reward programs, create P2P marketplaces, prediction markets, betting and gaming solutions. 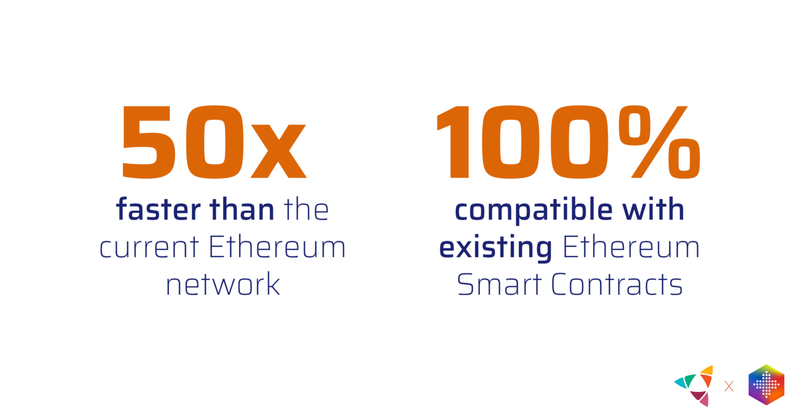 Their network is tested and proven to clear transactions 50 times faster than the current Ethereum network, with further scaling possible up to 100,000 transactions per second. This is because they’ve already adopted Proof of Stake, and allows them to keep pace with major fiat payment processors! All of the invoicing mechanisms and payment tracking mechanisms are already built into our core code and simply have to be enabled. Imagine the convenience of companies being able to make totally secure and near instantaneous invoice payments as easily as sending a WhatsApp message. That’s truly disruptive. Aerum have also decided to adopt our Digital ID and KYC platform, which will allow them to quickly bring new users onto their blockchain. This makes sense for a few important reasons. First, it allows Aerum and its partners to manage costs and processing times by leveraging the module that is already enabled as part of the wallet, keeping everything digital. At SignKeys we think it’s important to have some skin in the game with our partners. That’s why we’ve also agreed to run a major node on the Aerum network. This involves SignKeys directly with Aerum’s governance, but also network commercial avantages. What we’ve laid out above describes what we’re working on immediately, but in the future we’ll also be collaborating on broader cross chain initiatives based on the SignKeys platform, developing new secure technologies, working to ensure that we keep our users compliant, and cooperating on global expansion. Aerum truly is the ideal partner for SignKeys and we’re excited to announce this partnership today.